What Turn Your Face To The Sun sets out to do, it does with aplomb. The album by no means reinvents the trad-folk wheel, nor is it a drastic change in sound for I Draw Slow, but instead is a simple expansion on what the group had laid down before on White Wave Chapel. In this way, the record is an exercise in handcrafted songwriting. The warm sounding folk production and organic “live in your sitting room” feel of songs like ‘My Portion’ and ‘Carolina’ add an air of intimacy to the overall atmosphere of Turn Your Face To The Sun. 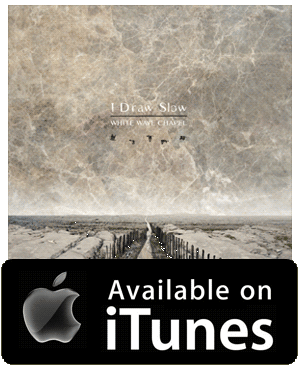 While the lyrical storytelling of ‘Maria’ has that certain captivating feel that is intrinsically linked to I Draw Slow’s music and rises through deeply set harmonies. Turn Your Face To The Sun is a genre record that plays with its trad-folk flourishes well. Whether it be the jangling scratch of ‘Tell The Girls’ or the brass accompaniment that fuels the choruses of the aforementioned ‘Maria’, I Draw Slow seek to give each song a personality of its own. A move that keeps the album as a whole from falling into the cliché tropes that can sometimes plague trad/roots music. Since Turn Your Face To The Sun is a continuation of what I Draw Slow have done so well in the past, fans of their previous work will not be found wanting on the band’s latest offering. And while there were points during the record that I wanted more, I couldn’t help but feel charmed by how authentic the music was as a whole. A very welcome addition to the group’s back catalog.